Celeb Gossip News – Star Wars 9: Anakin Skywalker comeback CLUE? Hayden Christensen RETURNING for new movie? 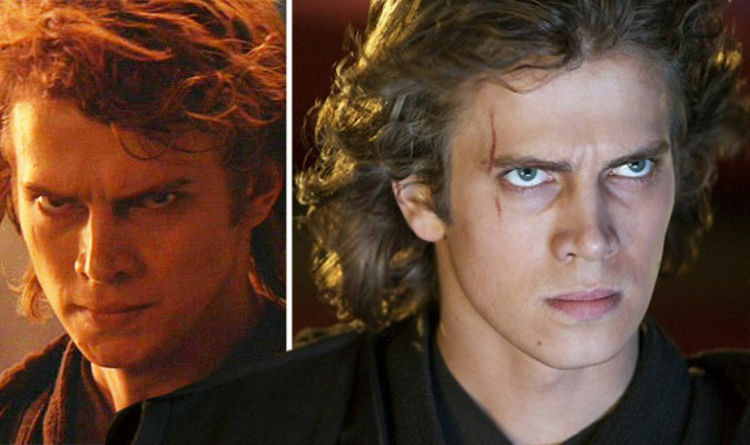 It’s admittedly still a long shot, but given the amount of hype surrounding a potential Hayden Christensen comeback, this is certainly an encouraging sign that he may be set to reappear on screen as one of the Star Wars saga’s most iconic characters. Christensen has been added to the line-up for Rhode Island Comic Con, to talk about his time in the franchise. It may well be absolutely nothing to read into, but it’s worth noting that Christensen seems to have embraced his Star Wars prequel past a lot more in recent years – in fact his appearance alongside Ian McDiarmid at Star Wars Celebration in 2017 was widely considered to be one of the highlights of the whole weekend. So is this just a nice bit of fan service from the actor? Or is he slowly putting himself back on the map ahead of a cameo in Episode 9? We’re a long way away from knowing for sure, but some fans on Reddit – who flagged his Rhode Island Comic Con appearance – are convinced he’s going to be seen in some capacity. “He’s probably going to be in IX. In fact, if it’s true that IX is the end of the Skywalker saga, you can almost guarantee that he will be in it,” said one. “I think it’s only right that Force Ghost Anakin appears. It wouldn’t make sense otherwise,” said another. Episode 9 will finish off the characters’ stories, including those of Rey, Kylo Ren, Finn, Rose and Poe. But several faces from previous movies will be reappearing: Mark Hamill is reprising Luke Skywalker despite appearing to die in last year’s The Last Jedi. Billy Dee Williams, meanwhile, will be seen as Lando Calrissian for the first time since the original trilogy; and Carrie Fisher’s Leia will return thanks to unused footage from The Force Awakens and The Last Jedi. Anthony Daniels will, as ever, also be seen as C-3PO. Episode 9 is currently in production in the UK and in Jordan, with some other locations being touted as well. Oscar Isaac, who plays Poe, said in a recent interview that filming has a slightly less rigid feel to it this time around; giving actors more freedom of creativity. One possible consequence of that is delays: it’s been alleged that one set in Pinewood has had to be extended by two months amid rewrites and reshoots. Star Wars: Episode 9 is out in late 2019.